The appearance of your garden is essential for the whole atmosphere in your home. If you want it to be a place that is considered welcoming and cosy, you need to make sure that you keep your garden in proper condition. If you lack the time to take care of your lovely garden we have a spectacular offer for you. 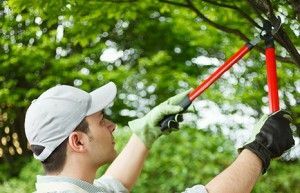 Now you can take advantage of our gardening services that are currently provided at the whole London territory. We co operated with the most qualified gardeners who have experience in performing every garden procedure in a flawless way. We are able to understand the particular needs of the garden and to treat it with all the suitable fertilizers. The staff in our company would love to collaborate with you and to meet all of your requirements as soon as you decide to contact us. If you feel confused because of the bad condition of your garden, do not hesitate to contact us right now. Our exclusive offers for gardening services will indisputably appeal to you. CleanersHendon are convinced that we can offer you only top quality procedures performed by the most cheerful and positive gardeners. What we can offer to your attention is perfect trimming and mowing, implemented in a perfect way. In addition to this we can provide fertilizing of the soil, if the situation requires it and we will do all of this thanks to the hard working team of gardeners. We are available seven days per week for our clients, so you are invited to make an appointment at any time that would be convenient for you. You will be amazed by our fairly honest prices for all of the gardening services. Hurry up and contact us through the call centres that also work during the whole week. We offer you a visible change of the look of your garden – do not miss this opportunity.